RALEIGH -- Republican presidential hopeful Donald Trump's lead continues to grow in North Carolina, according to a poll released Wednesday by liberal-leaning Public Policy Polling but it's the surprise inclusion of an independent candidate that's turning heads. 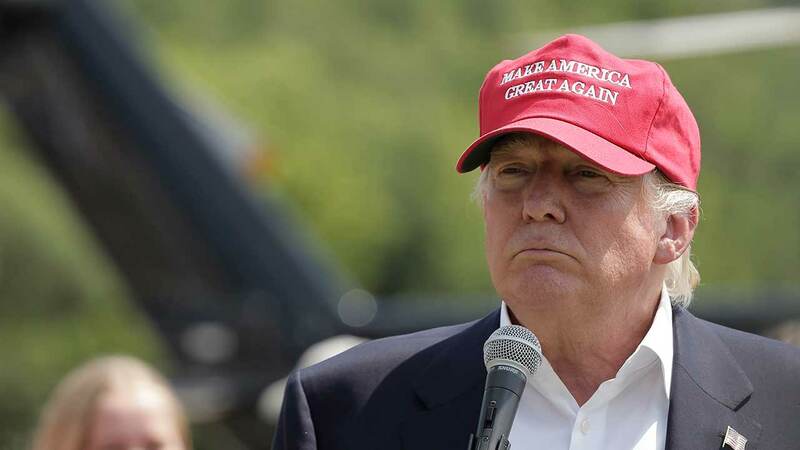 The poll done in July showed Trump leading the Republican field at 16 percent. The newest survey of N.C. shows Trump has risen steeply to 24 percent, while all others are lagging behind. Ben Carson is Trump's biggest competition right now in North Carolina, polling at 14 percent. According to PPP, Trump leads the GOP with moderates, 'somewhat conservative voters,' 'very conservative voters,' men, women, middle-aged voters, younger voters, and seniors. Jeb Bush is polling at 13 percent, Ted Cruz at ten percent, Mark Rubio at nine percent, and six percent each for Carly Fiorina, Mike Huckabee, and Scott Walker. The survey shows Hillary Clinton is still leading with Democrats in North Carolina at 55 percent. Bernie Sanders is trailing Clinton with 19 percent. Public Policy Polling revealed independent candidate Deez Nuts is polling at nine percent in N.C.
Public Policy Polling surveyed 957 voters from Aug. 12 to Aug. 16, including 477 Democratic primary voters and 406 Republican primary voters. The margin of error for the overall survey is +/-3.2 percent.